Together with the entire world, we feel and share the severe loss and pain following the passing on of a legend and a patriotic daughter of Africa—Winnie Madikizela-Mandela. Mama Winnie was emblematic of the black people’s tenacious struggle against apartheid. She was unstinting in her aversion to oppression and racism. Africa is poorer without this heroine whose status as a conqueror and heroine of Africa remains undented and undiminished. Mama Winnie stands as a reminder and encourager of possibilities for young African women. 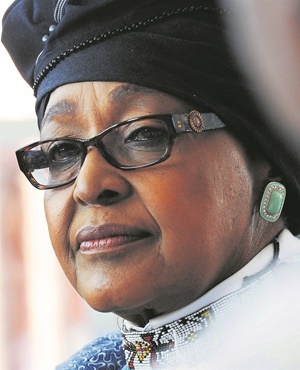 For many years, she stood by the late iconic leader Nelson “Madiba” Mandela and carved out her own legacy as a doyen of democracy, freedom and justice. She was a mother who exuded the true inimitable spirit of resistance which every oppressed and repressed African should emulate. On behalf of the MDC-T and the people of Zimbabwe, I wish to extend my heartfelt and sincerest condolences to the Madikizela and Mandela families, the ANC and the government of South Africa. To our comrades in the ANC, in South Africa and Africa at large, we say the untimely loss of Winnie is not your loss alone. The world is all the poorer at the sad loss of this patriotic daughter of Africa who etched her name in history as the icon of the continent’s perennial struggle for justice, freedom and democracy.